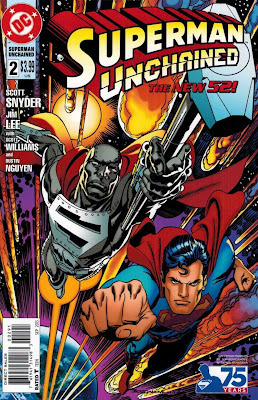 Showing what a well-written Clark Kent backed by a major motion picture can do, Superman Unchained #2 not only took July 2013's top spot, it brought DC up to a unit share gap of just 2.4% behind industry leaders, Marvel. The House of Ideas only title inside the top six? Guardians of The Galaxy. How 'bout that? 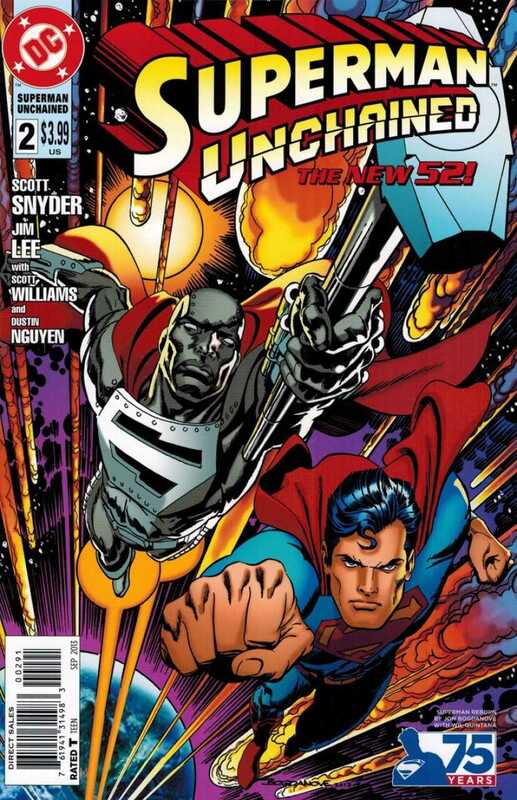 MY THOUGHTS: That's a cool variant (I miss you Steel)! The Top 6 looks like a non-comic fan would think and with a Superman/ Batman movie announced, there will be a lot more of the same - hopefully they won't be the only folk DC concentrate on. Full July 2013 stats after the jump. How many wannbe Hal Jordan's are in this world? Seems a fair few. The number one selling toy of July was the Green Lantern power battery (with ring), at 1:1 scale! Despite having an equally sized price tag to match, if your neighbourhood soundly sounds like a schoolboy quire at dusk, with "In brightest day, in blackest night..." ringing from every house, this will be the reason why. 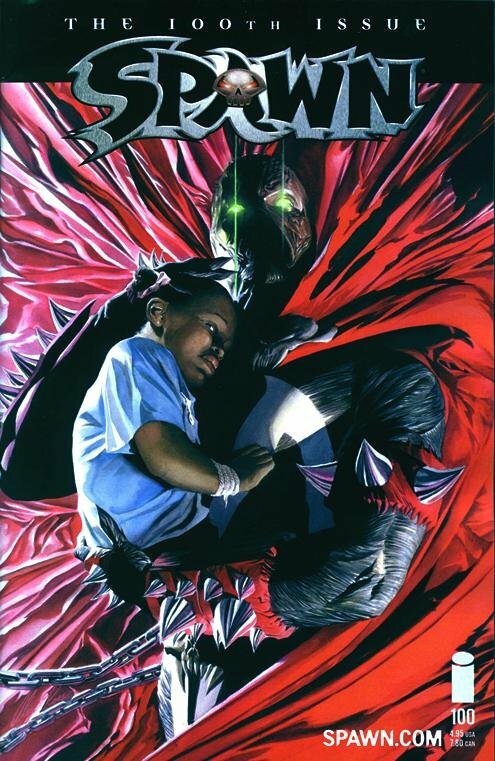 Todd McFarlane's pride and joy Spawn hits issue 100 and the top spot in 2000, in the year 1998, that honour belonged to fellow Image Comics star Michael Turner's Fathom #1. Fast forward to 2007 and an Olivier Coipel redesigned Odinson claims spot 1, in Marvel's Thor #1.